It is an intriguing idea: How would we live if all of our wounds were made visible by an illuminating light that shone from every cut, bruise, malady, or illness? This premise is thoughtfully rendered in The Illumination. Intermix this new worldwide reality of illuminated pain with an intensely intimate and private journal of love notes from a husband to his wife, and you will find a story that keeps your eyes moving to discover into whose lap and life the journal lands next. Mr. Brockmeier has skillfully written about the intimate interior lives of a variety of distinct individuals with depth, understanding, and realism. While learning about each character and the threads that bind them (the most obvious being the journal), the author also explores more universal questions and considerations. Why does suffering exist? Does it have a purpose and if so what is it? Why care about others suffering? Do all beings and inanimate objects suffer? Is it all a play? Is all life connected? 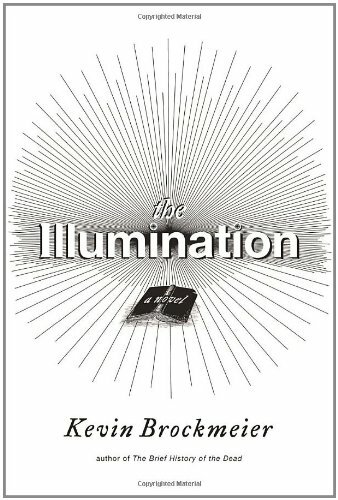 Reading The Illumination is like getting inside the heads of people you know or have seen. At times, readers might think they are looking at a mirror and not a book. This fictional story brings a number of emotions, thoughts, fears, and desires to the surface, while subtly asking questions about what life is about and whether it matters. If you like a very good story, with a unique premise (that also makes you think), then this book matters.